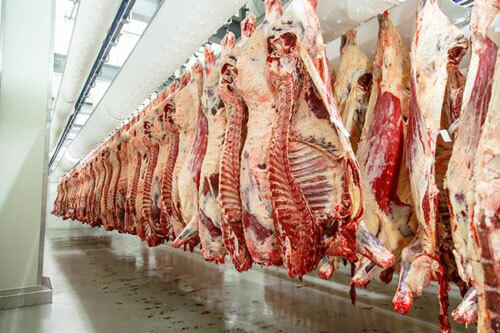 Beef factories must provide proper compensation to farmers whose beef carcasses were excessively trimmed, resulting in Department of Agriculture fines over the last number of years. Minister Creed has confirmed that he will name the factories which were fined for excessively trimming beef. He is currently taking legal advice on the matter but I expect him to name the factories involved. I further understand that the Minister will be providing funding for Department of Agriculture officials to be upskilled in order to properly monitor trimming of carcasses in factories. It is important that farmers get paid for all of the carcass which has value. Beef prices are very poor at the moment, so any loss of revenue in the trimming process is a huge concern to farmers as it has a direct effect on their income. The new enhanced controls on carcase presentation to be introduced on January 1st, 2019 and this will ensure that the farmers involved are paid to reflect any losses involved. I believe that farmers are being poorly served by the factories and the large supermarkets who dominate the beef industry. This is unhealthy as there are three components involved in the beef trade, the farmers who are the producers, the factories who do the processing and the supermarkets who sell on the product. The gap that currently exists between the farmers and the other two sectors is having a detrimental effect on the beef trade as a whole and this is not good for Irish agriculture. With full traceability in our beef trade, those farmers who have been the victims of the excessive trimming in recent years should be informed that their animal was the subject of a fine and I would hope that any farmer who gets proof that there was excessive trimming of their carcass would be fully compensated by the factory without any delay.